What's Eating Gilbert Grape? : Is There A Problem Here? : What's Eating Gilbert Grape? Wanting to know what's playing at local movie theaters tonight, I search Google for "gilbert movie theaters". 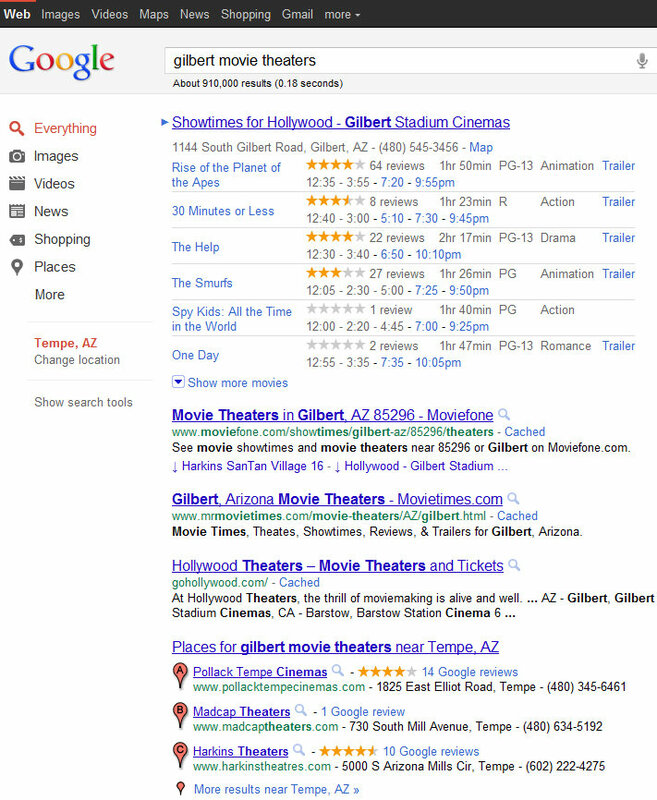 I click the top link for results at the local, Gilbert, theater. Instead of a list of movies and showtimes at the local theater, Google proclaims "No showtimes were found for What's Eating Gilbert Grape? on Aug 20." It has changed my location from Tempe to Gilbert. However, it appears to have also carried my original search term into a search engine that expects movie titles.